Update Xiaomi Redmi 1s to Miui 8 . 1 Update Xiaomi Redmi 1s to Miui 8 . 1.1 Xiaomi redmi 1s Miui 8 Update . 1.1.1 Install Miui 8 Update on Xiaomi redmi 1s . Do you want to update Xiaomi redmi 1s to Miui 8 Based on Android marshmallow ( May be ) Then you are at right place . Today we are here with a guide on How to update xiaomi redmi 1s to MIUI 8 . Miui 8 is the latest operating system from xiaomi . Xiaomi is the third largest smartphone company in the world and not only this but their Miui operating system is also considered as the best operating system in the world . 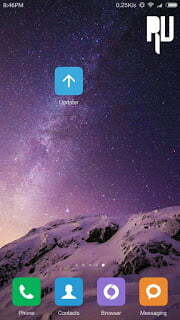 Miui 7 which is the predecessor of Miui 8 can be seen running on many smartphones . So in this guide we will tell you how to upgrade xiaomi redmi 1s with MIUI 8 . Xiaomi redmi 1s Miui 8 Update . It is recommended to make a backup of all the contacts and files . A minimum internal free space required is 2gb . You should be using a fast internet connection to avoid corrupt file downloading . Docoss X1 – 888 rupees android mobile Review . 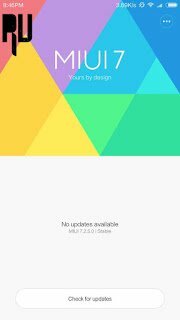 Install Miui 8 Update on Xiaomi redmi 1s . So first of all Open the Updater app from the app drawer . After opening the Updater app you will see a option ” Check system updates ” . Now if there is Miui 8 update available for your redmi 1s you will see the option to download the update . 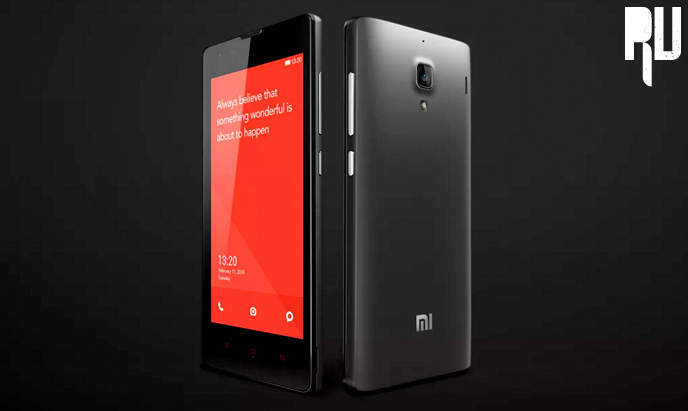 First of all visit the redmi 1s rom download Page . 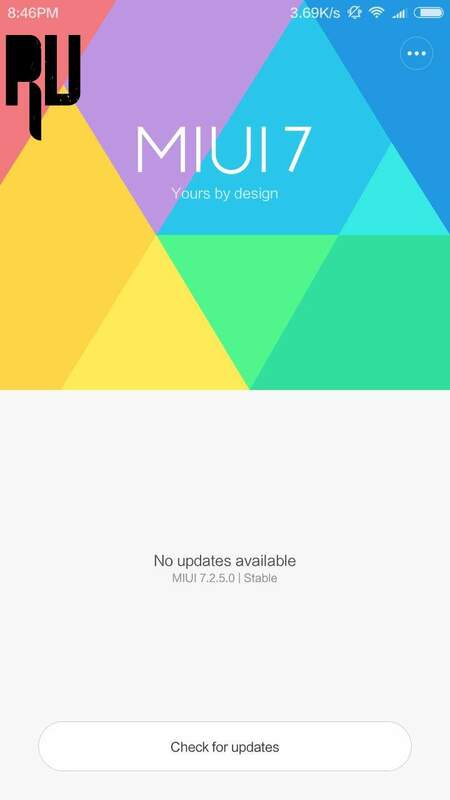 Now download the Miui 8 update for redmi 1s . Thats All !!!! You have successfully updated your Xiaomi redmi 1s to Miui 8 . So this was our guide on How to Update xiaomi redmi 1s to miui 8 . Welcome 🙂 Glad to Know the Way to Update Xiaomi redmi 1s to miui 8 worked for you . When you say minimum internal free space required is 2gb, do you mean RAM or memory? Redmi 1S has only 1 GB RAM..
2Gb of minimum storage should be available on Redmi 1s to update to miui 8 . I got mokee android 6.01 working excellent with TWRP . Yes mokee os is a good custom rom based on android 6.0 marshmallow . Thanks 🙂 Keep Visiting for more updates . Make A hard reset . Just make a Hard reset of your Mi Redmi 1s and then check if it starts working . i dont see the miui 8 update wwhen go check for update. what to do ? Hi Shunmuhanainar Just reboot your smartphone and then try again . hii i have total space free ia 2gb so after updating how much i will get space…..means it will be 2gb only or it will reduce? Hi first of all You will not get the Same space after upgrading , Second we will not recommend you to upgrade your device if there is only 2Gb space left . Depends upon which Miui 8 you are using The Global or Developer . I am using cyanogen mod curently in my redmi device but now want to change it back to miui…can i do that if possible then how??? Yes flash the original stock firmware again .